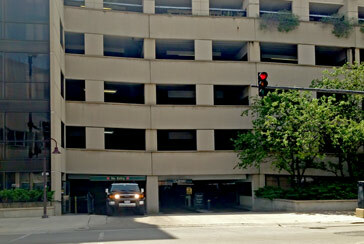 Convenient parking is available for DePaul School of Music concerts and events at the Holtschneider Performance Center. Refer to the map for more information on parking or to reserve a guaranteed space. Named after its former school president, the Holtschneider Performance Center is DePaul University School of Music's 185,000-square-foot concert and performance venue. The building is home to the Mary Patricia Gannon Concert Hall, Mary A. Dempsey and Philip H. Corboy Jazz Hall, Murray and Michele Allen Recital Hall, Brennan Family Recital Hall, as well as state-of-the-art rehearsal spaces, a sound recording technology suite, box office, atrium cafe, and more. 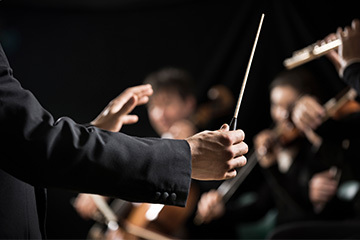 The Performance Center hosts hundreds of concerts and events throughout the year given by DePaul School of music students and faculty, as well as local ensembles, touring musicians, and other invited guests. Most events are free and open to the public.